Little comforts can ease the stress for a parent when their child is in the intimidating setting of a pediatric hospital. 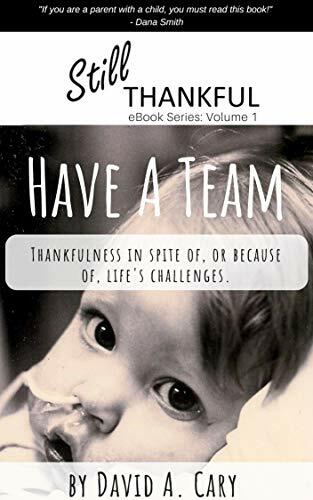 Have a Team is set in 1995 during Trenton Cary’s first heart transplant as a baby, and describes the necessity of a strong support group and how that group can help. Positive Attitude explains our battle with cancer and how Trenton’s attitude helped him succeed in beating it while still graduating high schoo on time. 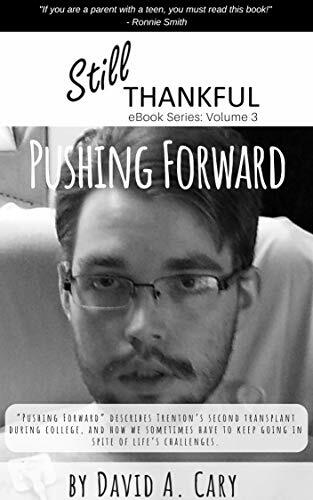 Pushing Forward describes Trenton’s cardiac arrest and second heart transplant during college, and how we sometimes have to keep going in spite of the worst that can happen to a parent. List: Top Ten Ways to Help - Download this free list of ways to help when someone is in the hospital and share it with your support group of family and friends. Inspiration and gratitude that comes from life's greatest challenges.